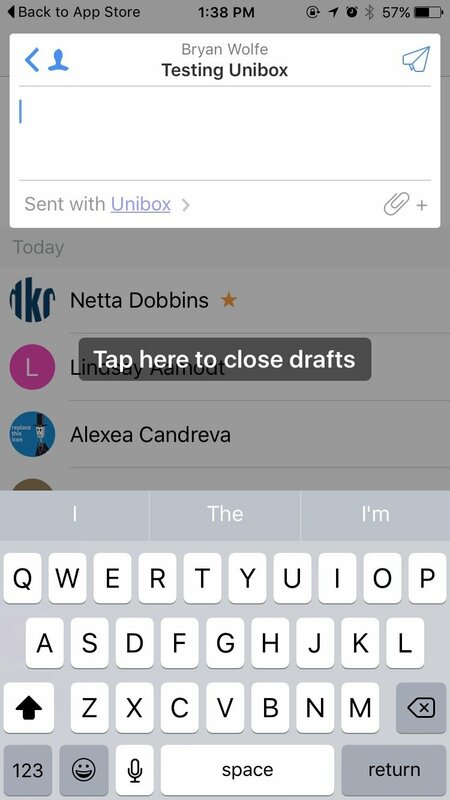 With Dropbox’s Mailbox going away soon, a lot of attention has returned to the thought of suitable replacement’s for iOS’s built-in Mail app. 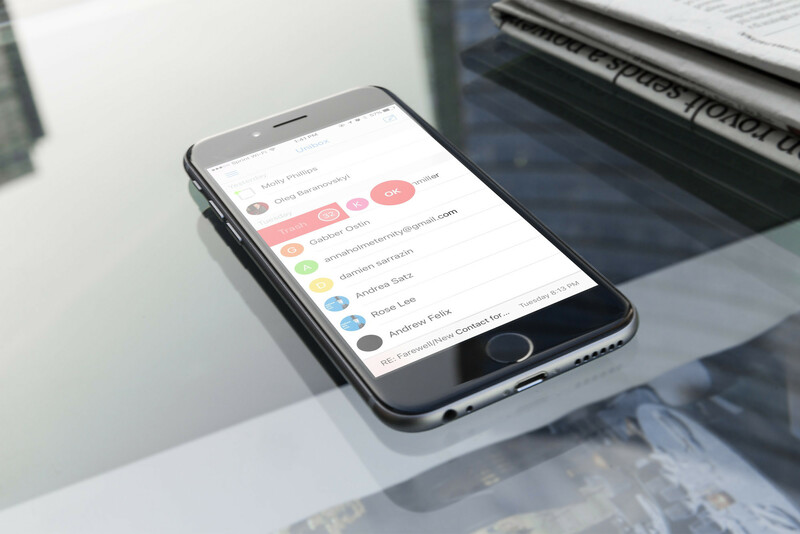 A new entry to the field of choices comes to us in the form of Unibox, an app that organizes your email by person so you can quickly find every exchange you’ve ever had with that individual. Organizing your inbox by person makes it easy to quickly get rid of dozens of newsletters and notifications. 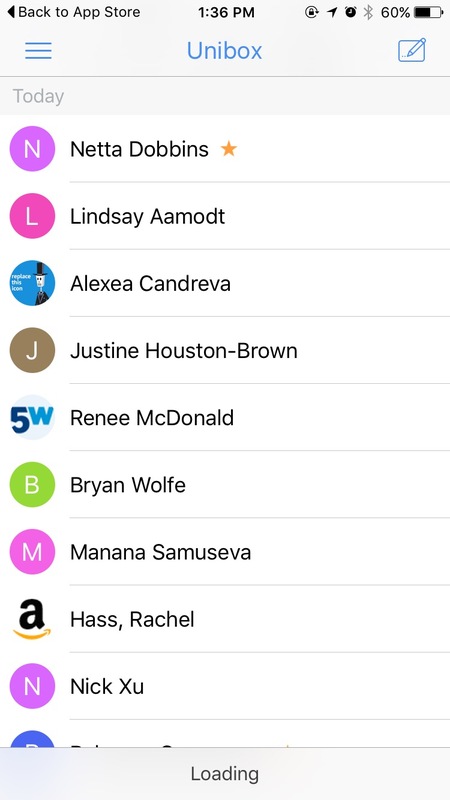 By swiping from left to right on a person’s name in the list, you can mark all of their messages as spam or delete them. The app even shows you how many messages you have from that particular sender. If you’re used to choosing Google as an account type, you won’t find that in Unibox. The app automatically detects email server settings, but it doesn’t show up as a Google account until you confirm information that might look unfamiliar to you. In addition to Google accounts, Unibox supports anything that works with IMAP, including Hotmail, Outlook.com, Live.com, Yahoo, Office365, iCloud, Exchange servers that have IMAP turned on, self-hosted servers, and many more. 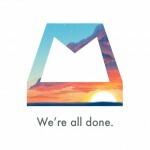 While the interface for reading your email is unique and streamlined, the compose workflow is somewhat painful and disjointed. You start off with a small window for entering your email recipients. Once you’ve finished entering your recipients, you come to another small window for entering the subject and body of your message. 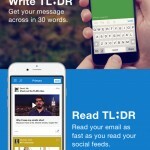 This works well for shorter emails, but lengthy emails become very difficult to manage. While Unibox is available as a free download on the App Store, it is limited to support for a single email account. If you want to use Unibox for multiple email addresses, you will have to cough up $4.99 for the Unibox Pro in-app purchase upgrade. The app requires iOS 8 or later, and is compatible with iPhone, iPad, and iPod touch.